Now you won't able to use your iPhone or an iPod to beam Netflix to an Apple TV. Airplay was allowed to Apple users to watch Netflix shows from one device to another. 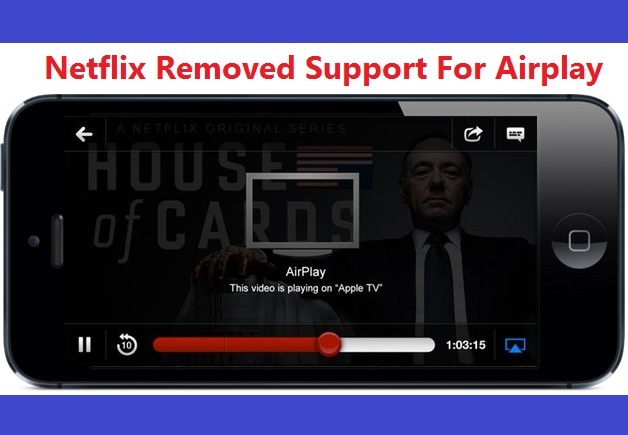 The reason for dropping Airplay given by Netflix is "Technical limitation" and instruct iOS users to connect to a TV using built-in Chromecast. AirPlay is a proprietary protocol stack/suite developed by Apple Inc. that allows wireless streaming between devices of audio, video, device screens, and photos, together with related metadata. Still, it is not clear that why Airplay support removed from the Netflix App, It was available since 2013.